TP-Link introduces Pharos series, a high-performance enterprise class outdoor wireless solution, designed for long distance wireless backhaul, point-to-multipoint connections and outdoor Wi-Fi coverage solutions. As connectivity to the internet grows, so do the challenges to reach more customers. Wherever the environment cannot accommodate traditional wired network infrastructure, broadband providers must turn to wireless delivery. Luckily, advancements in wireless broadband solutions have made WISP connectivity stronger and accessible than ever, and TP-Link Pharos series leads in every aspect. Pharos series products replace the expensive fixed wired connections for outdoor networking applications with flexible and cost-effective wireless connections, through Base Stations, CPEs, various types of external antennas and centralized management software. Considering today’s Digital trend and step towards cashless India, TP-Link is a best bet for organization that are looking forward to expand their wireless connectivity to ease customers with better service and products. Everyone wants to be connected in this digital world. Deployment of public Wi-Fi hotspots has seen a tremendous increase in past few years. Most of the public Wi-Fi hotspots in the country are venue-based deployments such as at airports and railway stations (0.5%), hotels (41%) and shopping malls, restaurants, coffee shops, and retail outlets (58%). There are currently over 31,000 public Wi-Fi hotspots installed in India, according to industry estimates, and the number is expected to grow beyond 202,000 by 2018. 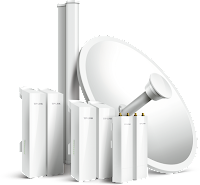 With Qualcomm enterprise-level chipsets, high-gain antennas and high-power amplifiers, Pharos series products are built to maximize and stabilize long distance wireless transmission. In addition, the specially designed weatherproof enclosure and PoE power supply ensure durable performance throughout various weather conditions, from dry to humid, in temperatures from -30°C to 70°C (-22℉ to 158℉). TP-Link’s Pharos series uses proprietary MAXtream time division multiple access technology to drastically improve wireless performance of a large-scale network in even the most complex wireless environments. Pharos Control—TP-Link's intuitive and user-friendly centralized management controller software—allows administrators to easily manage all devices in their network from any PC, with no extra cost or special training required. Essential functions like device discovery, status monitoring, firmware upgrading and network maintenance can all be remotely managed to ensure top-quality network performance. Combining the strengths of signal, durability and centralized management, TP-Link Pharos series products have demonstrated enhanced performance for enterprises of various environments. For WISPs to reach subscribers in remote villages in Indonesia and Peru, each with unique landscapes, these products have solved the challenges of location, climate and infrastructure to satisfy clients of various needs. Simply put, TP-Link Pharos series is real-world tested and approved. 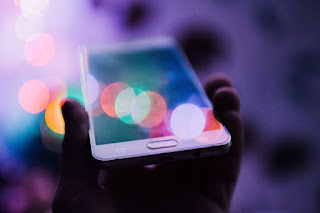 “With India adopting digitalization in a big way, the need for providing seamless internet connectivity, both indoor as well as outdoor, is going to be more important than it has been ever in the past. Being World No. 1 in WLAN segment TP-Link is well equipped to provide value for money offerings in wireless solutions for Smart cities, Village Wifi, events, large housing complexes and many more.” Commented Mr Sanjay Sehgal, V.P. SMB & Telecom Business. TP-Link India Pvt Ltd.